Without question and rightfully so, this is the biggest concern of the 2017 Cincinnati Bengals. Whenever the team is talked about, the reasoning behind the upcoming season falling short is the big men up front. Tonight, we will get our first look at the post-Whit and Zeitler o-line. Cedric Ogbuehi and Jake Fisher, the tackles, will be the two to watch with the first team. Can either one of them handle the outside? It’s not just the starters we should be watching. A lack of depth is well known, so it will be interesting to see how Trey Hopkins, Christian Westerman and the rest of the backups perform as well. My belief is just average offensive line play will be good enough with the plethora of weapons this club has. Anyone who complained about the rookie running back bring listed 4th on the team’s first depth chart hasn’t followed this team since 2003. 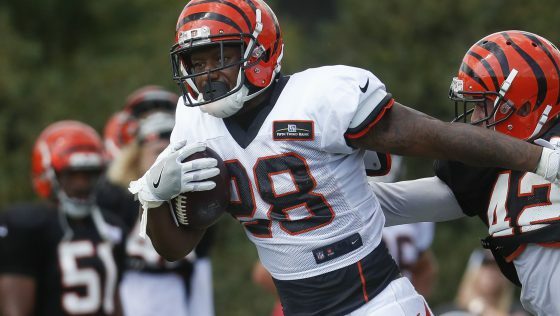 Mixon has been the clear MVP of training camp and is going to be heavily involved in the offense this season. People place too much on who starts. It is about who gets the most touches and who is in when the game matters. 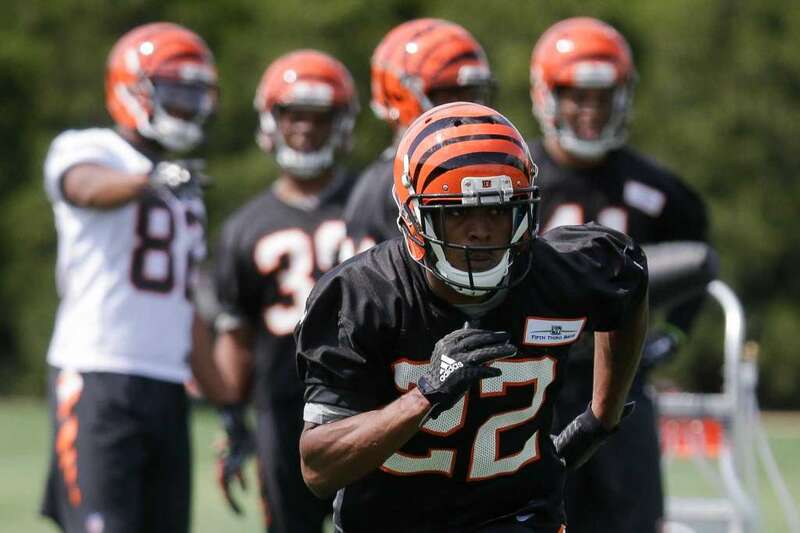 While we have to wait for John Ross to make his debut, Mixon will tonight and it will interesting to see if he can continue to do what he has done all camp: make plays. The criticism is behind us and the fan base is behind Joe. Now it’s time to see what he can do. It’s been a long time waiting for these two to finally get on the field! Both 2nd year defenders suffered season ending injuries before preseason began a year ago. They should both get plenty of time on the field tonight, and their play is important to the team’s development. WJ3 is the first backup on the outside and the favorite to start week one with PacMan suspended. Is he as good as we thought he could be when the Bengals picked him in the first round a year ago? While Billings was a fourth round selection in 16, he was predicted to go much, much higher. He may be listed behind Pat Sims on the depth chart right now, but he could easily move up to a starting role with a solid preseason. While Mixon has been the MVP on the offensive side on the ball in camp, Lawson is the one who is turning heads on the defensive side. The once projected first round pick plays with a chip on his shoulder after falling to the fourth round. Has his training camp performance been the result of poor offensive line play or the talent that he possesses? 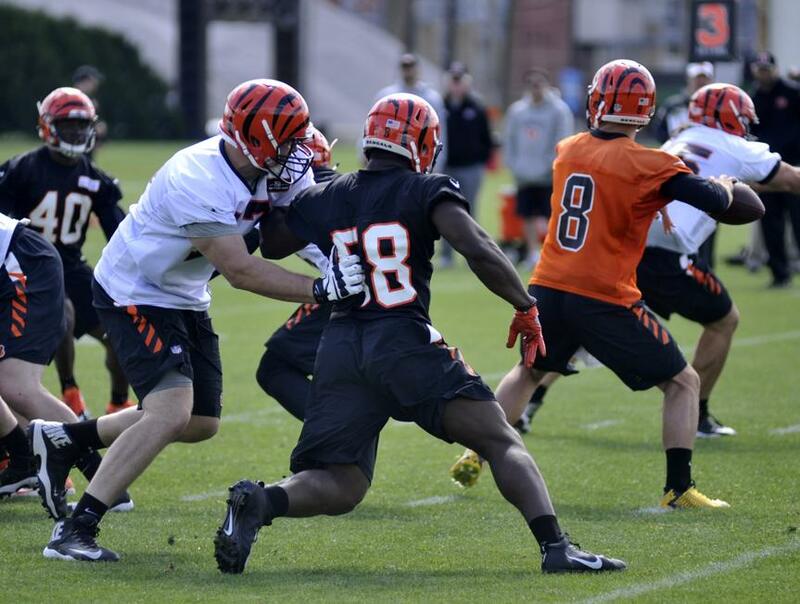 It will be fun to see if we have another pass-rushing threat opposite of Carlos Dunlap. Hopefully, McCarron doesn’t see any meaningful snaps all season. However, any time he has a chance to play, his success to greatly appreciated, even in preseason. 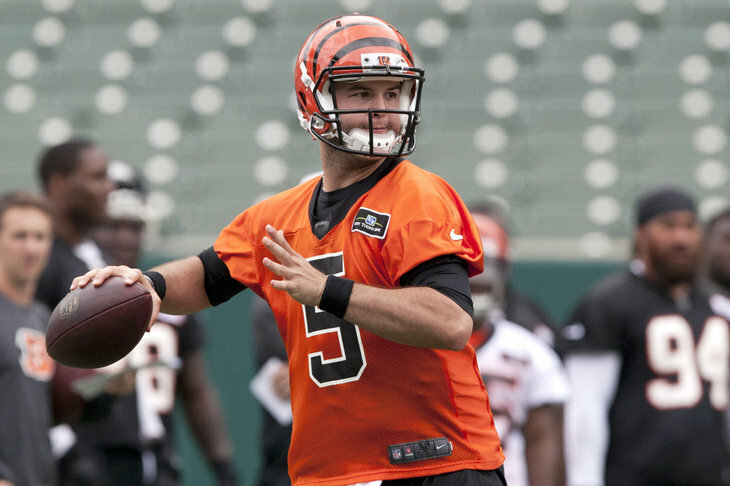 The Bengals hold his rights for the next two seasons, which makes it possible that they could trade him at some point. The better he plays, the more the Bengals could get in a potential deal. Stay tuned for a recap of the game tomorrow morning! 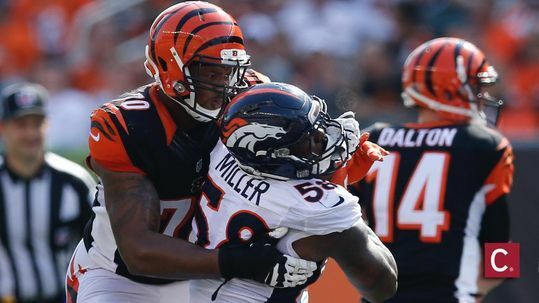 This entry was posted in Uncategorized and tagged AJ McCarron, Andrew Billings, Bengals, Carl Lawson, Cedric Ogbuehi, Christian Westerman, Cincinnati, Cincinnati Bengals, Jake Fisher, Joe Mixon, Trey Hopkins, William Jackson III on August 11, 2017 by Jon DeLotell.